Delray Beach, FL Free Treatment Centers, Affordable Rehab Centers. Wayside House is a drug & alcohol treatment facility that offers treatment for women by women. Our goal is to empower women to heal the body, mind, and spirit from the disease of addiction. TreatmentHelp is the ultimate online resource for finding the right treatment center for you! 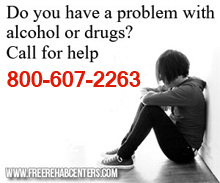 Whether you are dealing with alcoholism, addiction recovery, drug addiction or a mental/behavioral disorder, find the rehab center that fits your needs. Visit us at http://www.treatmenthelp.com to find treatment centers across the country.